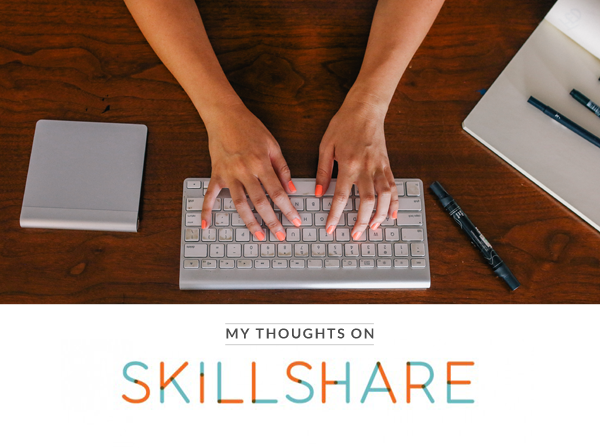 I’ve been eyeing out Skillshare for a while. I’ve been longingly browsing the classes, dreaming about the possibilities but not had the time to really dedicate to really get my teeth into a subject. A class in particular that I’ve been interested in for a while is the Modern Marketing Workshop with Seth Godin. Last week I finally got some time and the opportunity to sign-up and start my first class. I bought a one of class for $20 and it turned out to be the most well invested time and money I’ve spent in a long time on educational material. In this post I want to tell you why. First, let me tell you how this particular class works. It’s divided into units with assignments to each unit. In this class you also get additional free resources and links to related content such as useful websites, examples of exercises and even books. It gets even better, you get a couple of Seth Godins books in PDF format for free as well. They are on my iPad as I type this. Already halfway through the assignments, not even at the stage of putting together my final project yet, I’ve got so much value out of this class – the value has gone far beyond those $20 I first invested. The Modern Marketing Workshop is by no means a walk in the park. While writing this, I have two assignments left – before I can create my project and submit for review by my classmates, I’ve been at this for a week now. Taking on an assignment each day, sometimes two. I do it this way because I really want to learn and for me its the best way to learn while juggling my day job. The questions you get to answer are really hard, but so useful. They are straight on, focused straight on the important points of your work. Doing the assignments during this week has left my brain in a creative knot. I’ve constantly been thinking about the story, the brand the promise, all the 50 marketing concepts within Seth Godins action theory, the selection of P’s. The list goes on. I’ve constantly been scribbling on various sheets of paper I can find on the side while having a breakthrough thought while I’ve been processing the information and doing other things. Through all this I’m beginning to gain clarity on the example I will use for my final class project. I get to learn from someone which I respect and who inspires me, a thought leader within the field. I get to do hands on assignments to each video unit which further helps me learn and assimilate the information in a practical way. From analyzing other brands to assignments relating to my own final project. I get a framework to work from, with any projects I take on I can refer back to, as well as 11 very valuable questions to use before I start a new project. This class helps me put words on something that I’m already on par with, that “modern marketing” is different from “old marketing”. It’s about authenticity, connections and in a sense community. All those things that made internet fun for me when I was a wee kiddo. I get to submit a final project as a receipt of my work with the class and hopefully get some constructive criticism to learn further from and fine tune my projects marketing schedule. I can access a multitude of projects done by my fellow classmates to get inspired by. And I get additional resources and material which I can go back to, and refer to when in need – as well as lifetime access to this class. So if I need to refresh my skills, I can always log back into Skillshare and view the videos again. This is a great platform for learning new skills and brushing up on existing. You get loads of value from buying an ad hoc class, and the price point will enable anyone to learn new skills to reach their goals and dreams. I really appreciate the life time access to the content. I really appreciate the high quality of the Modern Marketing Workshop and I hope the other classes that I plan to take through Skillshare will adhere to the same high standard. An online class will enable you to take it wherever you are in the world and connect with other people on a similar journey as you. On a closing note, I decided to share one of the videos from SEO Moz which are linked to from the resources section within the Modern Marketing Workshop. This video really talks about the essence of a mindset that needs to shift within the marketing field and is from my perspective in the heart of the Modern Marketing Workshop. I’ve put this class on hold now, and will let the information and knowledge settle, process and will put together my project later this summer and post for review. I’ll do an update this autumn – to share my final thoughts on this class and experience with Skillshare.